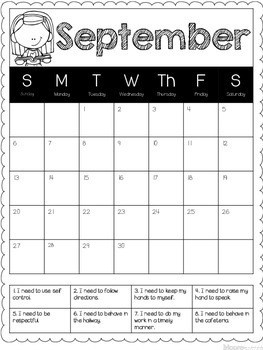 This product is a behavior calendar to use for communication with your student's parents on a daily basis. 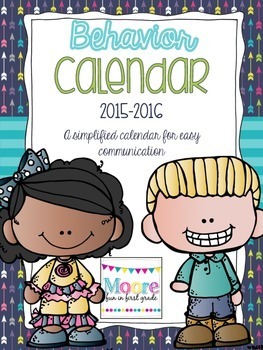 This product is for the 2015-2016 school year, from August-June. 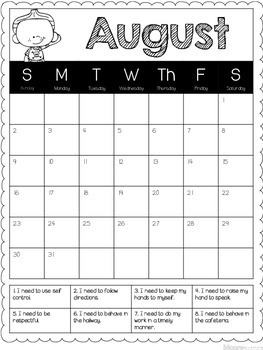 There are two options for each month, one with behavior codes and the other with a blank square at the bottom for any personalized notes or stickers. I hope you enjoy using this calendar with the adorable kid clip art from Melonheadz.